In the opposition-held territory of South Sudan, a population under pressure from more than 15 months of conflict remains determined to hold off government forces after the recent collapse of peace talks. On the run from conflict, families have sought refuge near the marshland in Lankien - an area under the control of the rebel opposition. Almost entirely from the ethnic Nuer community, many came from the towns of Malakal and Bor - having witnessed some of the worst fighting between rebel and government forces since the war broke out in December 2013. They are among some 1.5 million internally-displaced across South Sudan. Running low on patience, 67-year-old Chuon Biey Duop is losing faith that the crisis will be resolved any time soon. “I have no hope. I don't know when this fighting will end or not. It all depends on the influence of people outside of here," said Duop. 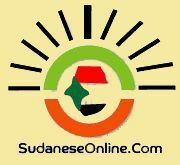 Lankien, in northeastern Jonglei state, is a stronghold for the opposition, which controls territory up to the Ethiopian border. The people who fled here have mixed in with the local community. There are no overcrowded camps, like in other parts of the country, but their presence is putting a strain on local resources. Nyirol County Commissioner Peter Thiey says because this is seen as a safe place, there are now more IDPs than residents. “They are coming here for the safety. Here in Nyirol we have a so-called natural defense. One thing is the river, in which there is no access for the government to cross the river," said Thiey. But government troops are not far away, and they control most of the major trading routes. While the area has stayed peaceful so far, there are concerns the failure of recent peace talks between the government of President Salva Kiir and the opposition led by his former deputy Riek Machar could inflame the conflict. Back in Juba, South Sudan Information Minister Michael Makuei insists the government is committed to continuing talks, despite its apparent military advantage. “It is not difficult for the government today to say 'No more negotiation but we are going on an offensive,' and if the government so decides it can easily flush out the rebels within the shortest possible period. But we are not for that because we don't want to lose more lives," said Makuei. Brigadier General William Kuol Chol of the opposition says his forces also are not interested in escalating the conflict, and stand ready only to protect their people. “The operation is to defend ourselves from the enemy because we are not here to aggress anybody, and why I am here is not my choice. It is the choice of those operators: the regime of Salva Kiir in Juba," he said. Both sides have been accused of committing serious violations during the conflict, including ethnically-targeted killings. And despite their apparent goodwill, deep distrust persists and low-level fighting continues. A vulnerable population, losing patience and hope, remains stuck in the middle.